Mutations are the driving force of evolution. We have cross-bred the genetically modified mice for generations to see what would happen. In 2010 a team of researchers at the University of Osaka created the animal in their “Evolved Mouse Project,” in which they use genetically modified mice that are prone to miscopying DNA and thus to mutations. Their main achievement was the production of a mouse that tweets like a bird. The “singing mouse” was born by chance but that the trait will be passed on to future generations. 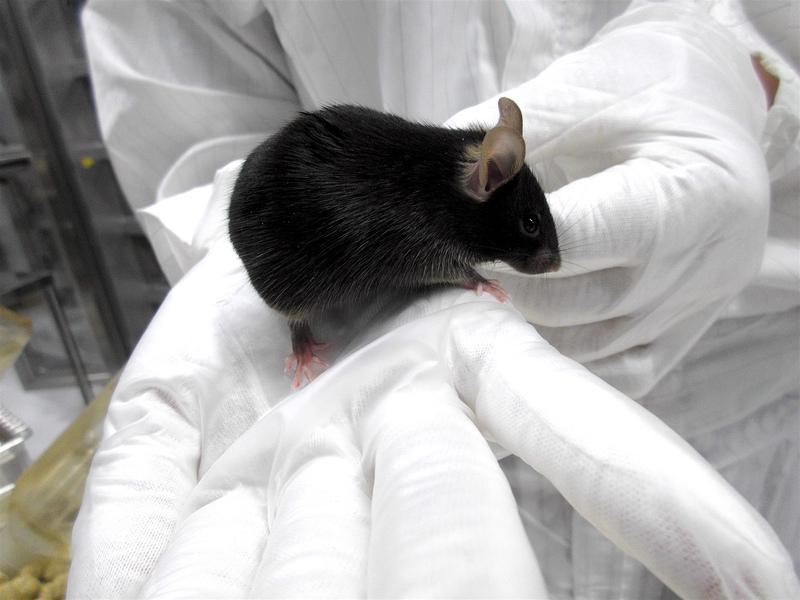 Lead scientist Arikuni Uchimura dreams of further “evolution” of mice through genetic engineering. “I know it’s a long shot and people would say it’s ‘too absurd’… but I’m doing this with hopes of making a Mickey Mouse some day,” he said. Briefly, Professor Uchimura conducts experimental mouse evolution research in the laboratory in order to fill the knowledge gap between mutations on DNA and phenotypic changes (phenotypic evolution). De novo mutations occurring from generation to generation are a fundamental resource for phenotypic variations and evolution. So, he uses modified mice, which have higher per generation mutation occurrence rate; this is for accelerating the mutation accumulation process. So far, Uchimura has bred these modified mice for more than 27-generations over 10 years. During this extended period, he observed many phenotypic changes: frequent abnormal phenotypes (e.g. singing mice, morphological anomalies, disease-like phenotypes), enlarged variations in quantitative traits (e.g. body weight, body length) between breeding lines, and serious depression in fitness over several generations (much mutation accumulation). For the “Mickey Morph” sculptures series De Wilde was inspired by the concept -and devotion of the scientists- to create a living Mickey Mouse. Instead of switching off genes, De Wilde switched of polygons in the 3d geometry. The results are ‘mutations’ with an organic feel. De Wilde is currently discussing the Mickey Morph #Lab art and science crossover project with the Uchimura and the Kokoro biology group in Osaka, Japan. This recent review article (http://www.genetics.org/content/202/3/869.long) written by famous geneticist prof. M Lynch, highlights the significance of Uchimura’s study. Picture: pictures of 3 mice (2.5-month aged males): 27-generation passed Mutator mouse, 8 generation passed Mutator one and wild type one (original mice before mutation accumulation). The frequency of abnormal phenotypes is increased in mutation accumulation population. Pictures of irregular phenotypes will be added soon.